Marlin’s work is all about the process. For him, getting there is more than half the fun…it’s all the fun. To see a record, the act of creating and not just the final product, that is his end goal. 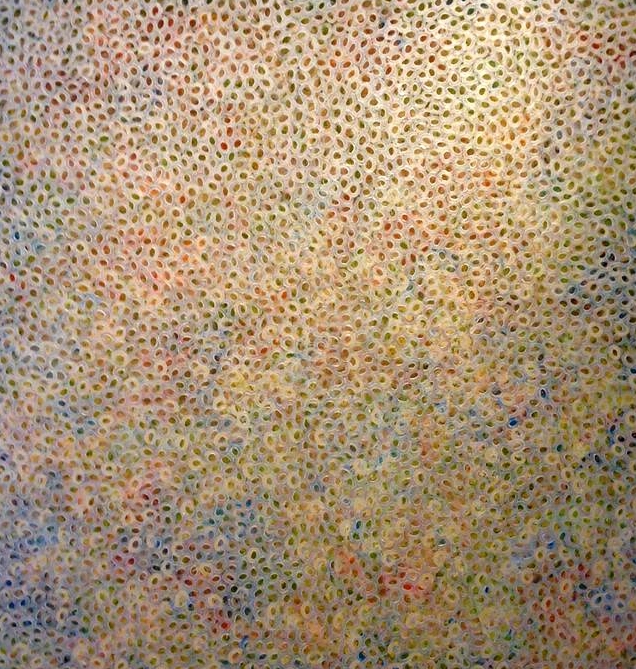 Marlin has been exploring the use of circles both large and small for the last ten years having been influenced and inspired by the paintings of Yayoi Kusama. 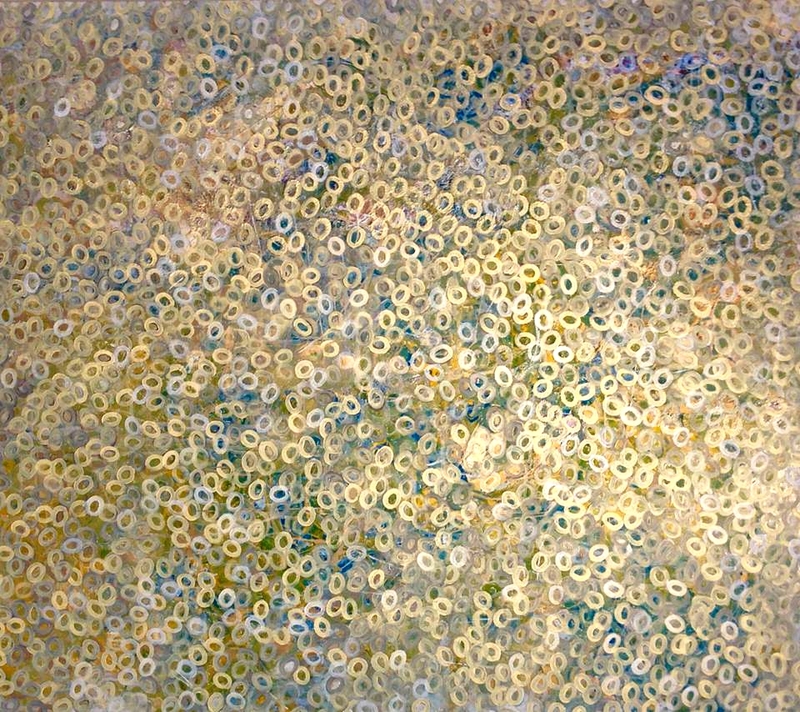 Currently he is working with metallic paints and how his work is affected by changing light. Marlin has worked as an artist and architectural illustrator for over twenty-five years. He currently divides his time between documentary film making and painting. Marlin lives in Lancaster, Pennsylvania and continues to get lost in the process in both a home studio and in a 19th century building in Columbia, Pa near the banks of the Susquehanna River.